The material below was reblogged from: https://www.gotquestions.org/tribe-of-Levi.html. Normally, I do not reblog material but write it from many sources including various Bible translations and notes and learned scholars. This material in “Got Questions” said exactly how I feel. The patriarch Jacob, just before he died, gave each of his twelve sons a blessing. The twelve sons were the fathers of the twelve tribes of Israel, and the blessings contained prophetic information about the future of each tribe. In the case of the tribe of Levi, which was paired in the prophecy with the tribe of Simeon, Jacob prophesied about him and his brother at the same time: “Simeon and Levi are brothers—their swords are weapons of violence. Let me not enter their council, let me not join their assembly, for they have killed men in their anger and hamstrung oxen as they pleased. Cursed be their anger, so fierce, and their fury, so cruel! I will scatter them in Jacob and disperse them in Israel” (Genesis 49:5–7). In addition to referring to the future of the tribe of Levi, the prophecy contains within it several lessons for all of us. 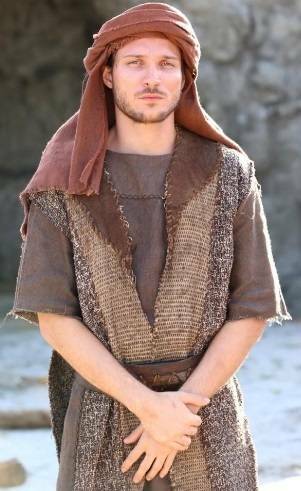 This entry was posted in Jacob's Offspring and tagged Carolyn Roth Ministry; Bible Characters, Jacob's Sons, Levi, Redemption. Bookmark the permalink.